A rip-roaring account of the dramatic four-year siege of Britain’s Mediterranean garrison by Spain and France—an overlooked key to the British loss in the American RevolutionFor more than three and a half years, from 1779 to 1783, the tiny territory of Gibraltar was besieged and blockaded, on land and at sea, by the overwhelming forces of Spain and France. It became the longest siege in British history, and the obsession with saving Gibraltar was blamed for the loss of the American colonies in the War of Independence.Located between the Mediterranean and Atlantic, on the very edge of Europe, Gibraltar was a place of varied nationalities, languages, religions, and social classes. During the siege, thousands of soldiers, civilians, and their families withstood terrifying bombardments, starvation, and disease. Very ordinary people lived through extraordinary events, from shipwrecks and naval battles to an attempted invasion of England and a daring sortie out of Gibraltar into Spain. Deadly innovations included red-hot shot, shrapnel shells, and a barrage from immense floating batteries.This is military and social history at its best, a story of soldiers, sailors, and civilians, with royalty and rank and file, workmen and engineers, priests, prisoners of war, spies, and surgeons, all caught up in a struggle for a fortress located on little more than two square miles of awe-inspiring rock. 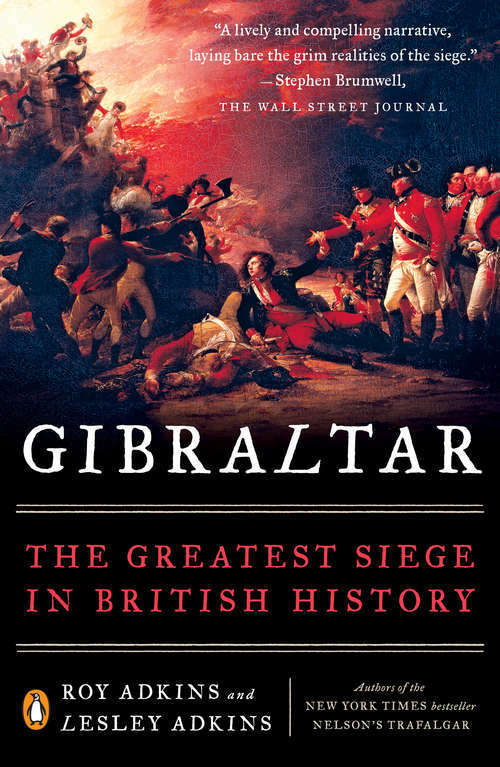 Gibraltar: The Greatest Siege in British History is an epic page-turner, rich in dramatic human detail—a tale of courage, endurance, intrigue, desperation, greed, and humanity. The everyday experiences of all those involved are brought vividly to life with eyewitness accounts and expert research.